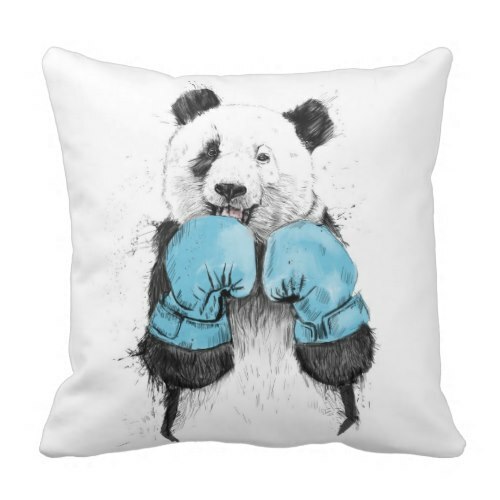 A fun, cool, art custom throw pillow, featuring the winner - a smiling giant panda with his boxing gloves on. Cool, awesome art pillow for your favorite couch, man cave, den, dorm room, home, living room. Great for room decor. Makes a fun, cool gift for christmas, holidays, birthdays for friends, family, and yourself.